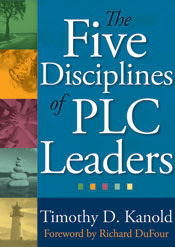 Turning Vision Into Action: PLC Vision: Management or Leadership? The distinction between management and leadership is neither arbitrary nor semantic. It is, instead, enormously important and a source of great confusion. Executives who do not lead create only plans and budgets, not the visions and the strategies needed to accomplish the vision. In many cases, adults in various levels of school leadership positions either abdicate their leadership responsibilities for the management aspect of their job or lack the confidence to embrace the leadership aspects of the job. Management tasks are necessary to the work of school leaders, but not sufficient. The school leader (which really means every adult in the school) must also become a steward of the program vision - A vision that cannot be true or false but ultimately is evaluated against other possible directions for the school or district. This week, school mathematics leaders in Georgia are coming together to determine the best way to begin to understand how to lead others and create a professional learning community of adults around a Vision for Teaching and Learning in the classroom. 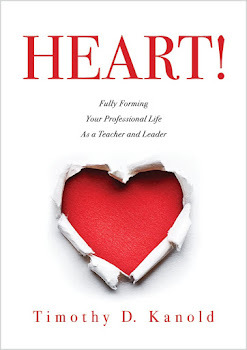 A fundamental question each PLC leader must ask is: "What is my degree of certainty that the faculty and staff in my sphere of influence are focused on the "Right Things" for Teaching and Learning - things that really matter - and what is the probability that all those in my sphere of influence actually act on those right things? Click here, for a look at the outline of ideas shared at this conference. Turning Vision into Action Starts with a "Knock Your socks Off" shared and compelling Vision for Teaching and Learning that brings a coherent focus to strategies and actions that will make a significant difference in student learning and achievement. It ends with a coherent set of boundaries that help focus our efforts, actions and behaviors.